This week at The Friday Mashup Tara is our hostess and she has a fun challenge for us....create a project based on a decade and also use color blocking. I had to sit and think about the decade portion a bit. I was a child of the 80's, all the big hair and neon colors but I didn't want to go that route. I happened to be reading a book about WWII and some naval battles and I started thinking about the war period and how US women took on pivotal roles in the work force while men were at war across the globe. 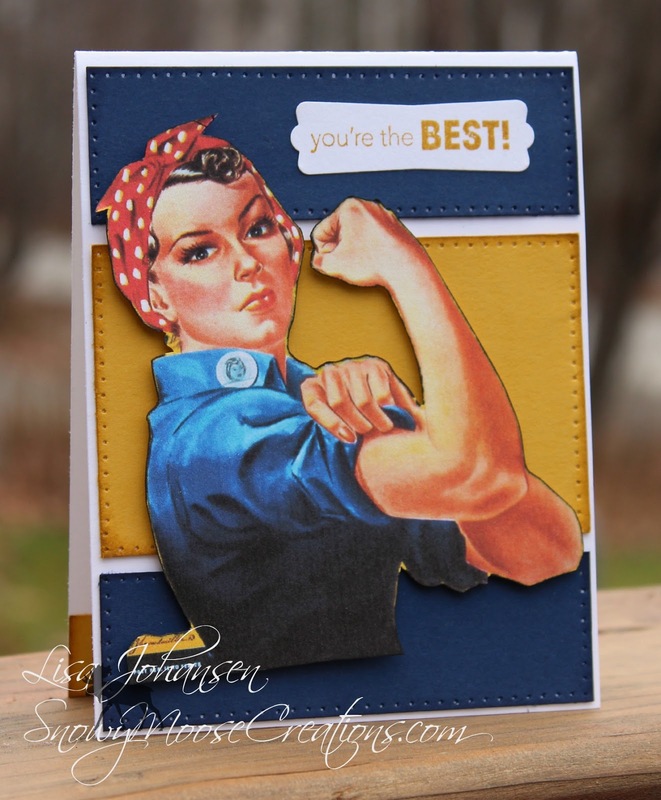 Of course the most famous image from that period is Rosie the Riveter, and so that's what I decided to go with for my card. For my color blocking I used Night of Navy and Hello Honey to mimic the colors that can be found in the Rosie the Riveter flyers. I paper pierced around the edges of each block and then adhered them to a Whisper White card base. I took a Rosie image from the net and printed it out on Whisper White cardstock and then popped that up with dimensionals across the blocks of color. To finish the card I off I stamped a sentiment from the retired hostess set Perfect Words, punched it out and adhered it at the top of the card. 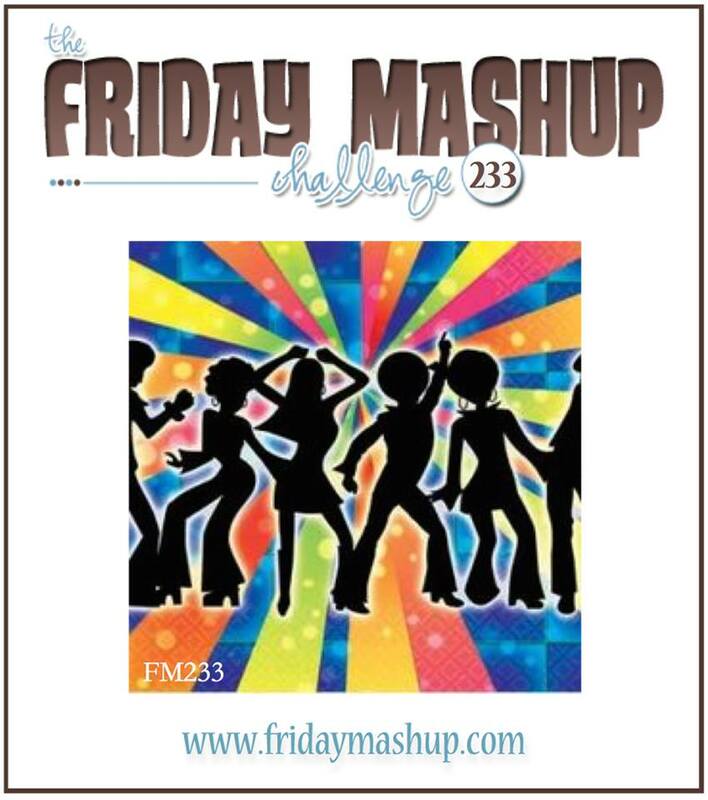 The DT really came up with some fun cards this week so make sure to go check them all out at The Friday Mashup blog and then play along with us! Create a project using a Decades theme (60s/70s/80s/etc) . Create a project with Color Blocking . or Mash it Up! and create a project using a Decades theme and Color Blocking. This is really awesome, Lisa. What a great idea for the decade theme - I never would have thought to use Rosie, but she's perfect on your card!